Government has defended its decision to cancel Telecel Zimbabwe’s licence after the company failed to comply with empowerment requirements despite being given numerous opportunities to do so.Information Communication Technology, Postal and Courier Services Minister Supa Mandiwanzira yesterday told the Parliamentary Portfolio Committee on Information Communication Technology, Postal and Courier Services that since 2002, Telecel Zimbabwe had been in breach of the Postal and Telecommunications Act that requires a 51-49 percent shareholding threshold between indigenous Zimbabweans and foreigners. Telecel Zimbabwe is majority owned (60 percent) by Telecel International and Empowerment Corporation which holds a 40 percent stake. Telecel International is owned 100 percent by Global Telecom, which is owned by VimpelCom, and headquartered in the Netherlands. Minister Mandiwanzira also told the committee that he was expecting to meet senior Global Telecom directors to discuss the matter today. “The issues that led to their licence being cancelled is on the basis of their failure to comply with the Postal and Telecommunications Act provisions on the 51-49 percent ownership, their licence was cancelled for non-compliance on the aspects of local ownership elements,” Minister Mandiwanzira said. He outlined how Government had been lenient with Telecel Zimbabwe despite its failure to comply with the Postal and Telecommunications Act since 2002. “When Potraz became operational in 2001, it amended the licences that were issued prior to its establishment to align them with the Act in 2002. “At the time of the amendment of licences, Telecel’s shareholding structure comprised 60 percent shareholding by Telecel International and 40 percent shareholding by Empowerment Corporation. The amended licence was issued with a condition that the licensee should ensure that foreign ownership shall be reduced to 49 percent within a period of five years from the date of signing the licence document,” he said. The minster, however, said between 2003 and 2007 Telecel Zimbabwe failed to comply despite numerous efforts by Potraz for them to do so, resulting in the cancellation of their licence on August 9, 2007. “On the 10th of August 2007 they appealed to the Minister of Transport Communication and Infrastructural Development (then Nicholas Goche) against the cancellation of the licence,” he said. Minister Mandiwanzira said the appeal was determined in 2010 on the condition that they would have complied by the requirements of the law before the renewal of licences in 2013. “By the end of the 15 years, which was the initial tenure of its licence in 2013, Telecel Zimbabwe had still not complied with the shareholding structure,” he said. Minister Mandiwanzira said Government had shown a lot of patience with Telecel Zimbabwe and said their actions would show that they did not respect the rule of law. 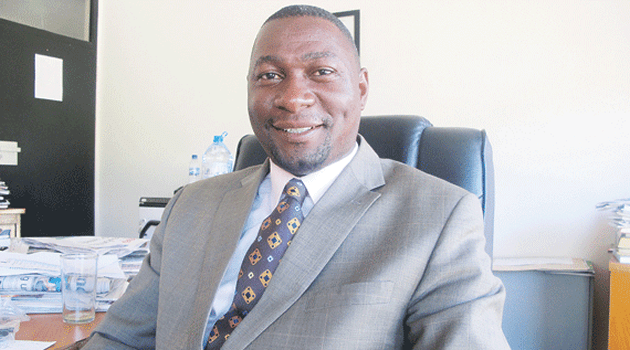 “The Government has not been hostile towards Telecel Zimbabwe. If anything, I have demonstrated Government’s lack of hostility towards Telecel Zimbabwe by allowing it to continue when its actions were actually contrary to the expectations of the law. We worry about jobs, we worry about growing the economy but we are not worried about our actions when they are legal and justified. “In fact what we are doing gives confidence to more investors in our sector because anyone who wants to invest in an ICT sector in a country wants to make sure that whenever they put their money there’s predictability. But when there’s no predictability, they are not sure about their investment. How do you ensure predictability, Mr Chairman? You make sure that everything that you do is by the law. In this particular case they didn’t stick to the law which allows predictability. It is fact that they have failed to comply,” Minister Mandiwanzira said. He also told the committee that Telecel International directors had requested to meet him today through a letter written last week on Thursday. Mr Antony Kudryashov, Global Telecoms chairman and its managing director Mr Vincenzo Nesci, are among the senior officials that are expected to attend today’s meeting.